Answering Kaddish and Kedusha from a different area than the Minyan: Once there is Minyan of ten Jews in one area that are saying Kaddish or Kedusha, anyone who hears their voices can answer with them. This applies even if one is in a completely different house and there are many houses that intervene between them. It is considered as if the person hearing the voice is together with them in the Minyan. Being Yotzei a blessing from a different area: The same applies regarding being Yotzei [Shemoneh Esrei during Chazaras Hashatz] that only the Chazan and the congregation must be in the same room, however once they are in the same room, anyone who can hear the voice of the Chazan can be Yotzei even though he is not with them. The same applies regarding being Yotzei Kiddush, Havdala, and Megillah from a different area [and being included in the blessing of Birchas Kohanim, and doing Nefilas Apayim with the congregation]. Once there is a Minyan in the room, any other person can join the Minyan and answer Amen and Kedusha even if he is in a different room or building, from which the voice of the Chazan can be heard. One may likewise be Yotzei a Mitzvah, such as Kiddush, Havdala, Megillah and the like from a different room. If however there are feces or idolatry in-between the two areas then one is not to answer [Amen], or to Kaddish and Kedusha [or be Yotzei a Mitzvah]. Must one answer Kaddish and Kedusha of a Minyan that he is not participating in and is in a different area? If one is not in the same room as the Minyan and hears Kaddish or Kedusha, some Poskim rule that although he is allowed to answer to the Minyan, nevertheless he is not obligated to do so. Other Poskim however rule that he is obligated to answer, even if he is in another room and is not participating in the Minyan. 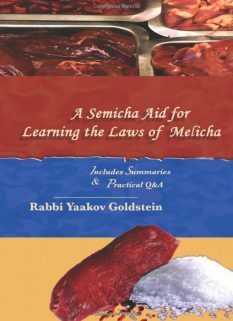 If however one is in the middle of a Mitzvah, such as Davening or learning Torah, he is not obligated to answer. Do feces and idols intervene before the answerer if he is found within the same room as the Minyan? Some Poskim rule it is not considered an interval, and thus if one is distanced four Amos from the feces and it is not within his sight, he may Daven and answer to the Minyan. Other Poskim however rule it is considered an interval, and those people who are in-between the feces and the Minyan cannot answer Amen, or to Kaddish and Kedusha. Practically, we rule like the former opinion. Is a church defined as idolatry and thus intervenes before the answerer? May one answer and be Yotzei from a different area if there is a potty or bathroom in-between the two areas? Some write that one may not do so. Others write that one may do so. May one answer and be Yotzei from a different area if there is urine in-between the two areas? Yes, so long as one is distanced from it four Amos and it is not within his view. May one answer and be Yotzei from a different area if there is a gentile in-between the two areas? 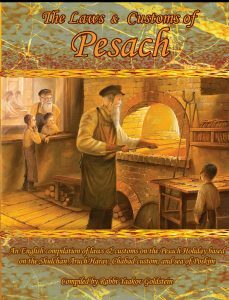 Some Poskim rule that one may not answer Amen, or to Kaddish or Kedusha if there is a gentile in-between the Minyan and the individual. This applies whether the gentile is male or female. Other Poskim rule that one may answer for Amen, Kaddish and Kedusha even if there is an idol worshiper in-between. Practically, according to Admur a gentile does not invalidate answering Amen even if he is an idol worshiper. May one answer and be Yotzei from a different area if there is a Mumar or Apikores in-between the two areas? Some Poskim suggest that perhaps one may not answer Amen, or to Kaddish or Kedusha if there is a Mumar Apikores, or one who is not Shomer Shabbos, in-between the Minyan and the individual, just as is the law by a gentile. Practically however, according to Admur a gentile does not invalidate answering Amen even if he is an idol worshiper, and certainly a Jew does not invalidate even if he is an Apikores. May one answer and be Yotzei from a different area if there is a woman in-between? Yes. This applies even if she is an Erva or is not dressed modestly, so long as she is not within his view. Will there be a second day of Yom Tov after Moshiach comes? Some Poskim rule that even in the future we will celebrate the second day of Yom Tov outside of Eretz Yisrael. In some Sichas the Rebbe suggests that we will celebrate Yom Tov Sheiyni in the future, although in other Sichos it seems the Rebbe retracted this position. If one traveled from the diaspora to Eretz Yisrael in a week that Eretz Yisrael is one Parsha ahead of the Diaspora, as occurs in certain years starting from the Shabbos after Pesach or the Shabbos after Shavuos, then one is to try and find a Minyan of Bnei Chutz La’aretz which will read the weekly Parsha of the Diaspora. Alternatively, one can ask the Baal Korei to begin the reading of Kohen from the previous Parsha and have him read until Levi of the current Parsha. If neither of the above options are possible, then due to lack of choice he has lost the previous Parsha and is to join the reading of Bnei Eretz Yisrael. 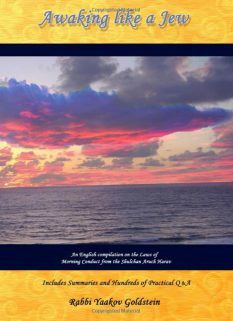 Shnayim Mikra: If one traveled to Eretz Yisrael in a week that Eretz Yisrael is reading a different Parsha than the Diaspora one is to read the Shnayim Mikra of both Parshiyos, the one which he is now missing in the Diaspora and the one which he will now hear in Eretz Yisrael. [If he returns to the Diaspora after Shabbos he is not required to repeat the Shnayim Mikra of the Parsha that was read in Eretz Yisrael and is now being read in the Diaspora.] In the event that he finds a Minyan of Bnei Chutz La’aretz who will only be reading the Parsha of Chutz La’aretz then he is to do Shnayim Mikra of only the Parsha of Chutz Laaretz. 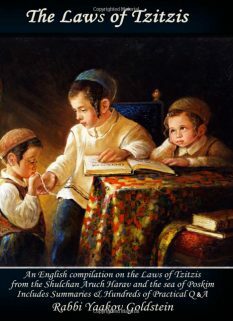 If one traveled from Eretz Yisrael to the Diaspora in a week that Eretz Yisrael is one Parsha ahead of the Diaspora, as occurs in certain years starting from the Shabbos after Pesach or the Shabbos after Shavuos, and thus in the Diaspora they will repeat the reading that he heard in Eretz Yisrael, then he is obligated to hear the Parsha a second time. 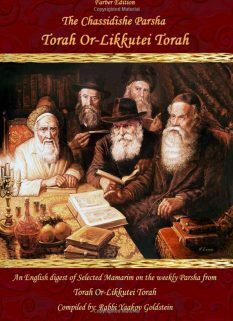 Shnayim Mikra: If one traveled from Eretz Yisrael to the Diaspora in a week that the Diaspora is reading the Parsha that was read the previous Shabbos in Eretz Yisrael He is not required to repeat Shnayim Mikra of that Parsha, even though he is required to hear the reading of the Torah. 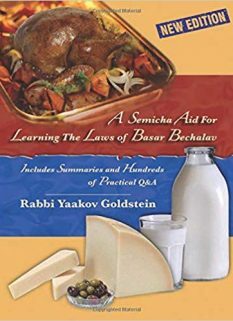 Other opinions in Gemara: Tosafus [Pesachim ibid] learns that according to Rebbe Yehuda in Pesachim ibid [who argues on Yehoshua Ben Levi] one cannot answer unless he is in the same room. However according to Rashi’s explanation possibly Rebbe Yehuda agrees with Rebbe Yehoshua on this point. See Q&A regarding if this is voluntary or obligatory! Michaber 690/14 that one can assume that the Chazan has in mind to fulfill the Mitzvah for all the listeners, including listeners that are behind the Shul and cannot be seen. Machatzis Hashekel 273/13 regarding Kiddush; M”B 194/8 regarding Birchas Hamazon; Vetzaruch Iyun from Admur ibid who positioned this opinion between the Halacha of Kedusha/Kaddish and being Yotzei, hence implying they only argue regarding if one may answer, Vetzrauch Iyun. Toras Chaim Sofer 66/8 that one who is involved in a Mitzvah is exempt from a Mitzvah; Shevet Halevi 9/43; Tzitz Eliezer 11/4; Salmas Chaim 62; Kinyan Torah 4/9; Pischa Zuta 5; Teshuvos Vehanhagos 2/73-74; Yabia Omer 9/3; Piskeiy Teshuvos 51/11 and 55/29; Vetzaruch Iyun from Igros Kodesh ibid that one is obligated to answer in-between the Shel Yad and Shel Rosh even though one is in the midst of a Mitzvah. So is proven from the fact that it is omitted in Admur and all previous Poskim; Ashel Avraham Butchach 55 regrading if the male Erva is revealed in-between that it does not disqualify answering being one is not to add on the items listed by the Sages. The reason: As it’s a Takanas Chachamim in memory of exile. Such as one traveled to Eretz Yisrael the week after a two day Shavuos or Pesach which coincided with Shabbos, in which case Eretz Yisrael is one Parsha ahead in its reading. This can occur when the 2nd day of Pesach or Shavuos falls on Shabbos in the Diaspora and hence no Parsha is read, while in Eretz Yisrael the regular weekly Parsha was read. If one travels that week to the Diaspora he will be hearing the same Parsha that he heard the previous Shabbos in Eretz Yisrael. This ruling is evident from Admur 285/9 who does not require one to read Shnayim Mikra of the Yomim Tovim sections prior to each Yom Tov being that it was already read or will be read in its related Shabbos portion. Hence the same logistics apply here and there is no need to repeat Shnayim Mikra.